Is Bitcoin's Blockchain Technology Just Another Distributed Database? Some skeptics think that Blockchain is over hyped, and it is just another type of Database. This isn't true, and blockchain technology (the basis of Bitcoin) has the potential to revolutionize many fields, such as stock trading, real estate titling, and supply chain tracking. A blockchain is more than a distributed database. 1. Centralized database (probably 90% of databases) - all parts and data stored and maintained in a single location. 2. Distributed database - the data is stored in different parts of a network but, ultimately, there is a central point of control. A. They operate in a trusted environment. B. The owners of centralized and distributed databases can restrict read and write access to outsiders. A. They operate in a UNtrusted environments. B. Anyone has unrestrict read and write access. Here is an example. Individuals and companies like Goldman Sachs and J.P. Morgan want to buy and sell stocks. They don't trust each other, so they use an exchange. The exchange is a needed middleman, because of the trust issue. The exchange itself has a distributed database which stores the transactions, but access to this database is done through the exchange's interface. They settle trades in 2 days, and charge a fee. A blockchain is used instead. Everyone (Goldman Sachs, J.P. Morgan, your Aunt Sally's Schwab account) has copies and can read or write to it. None of them trusts each other, but they don't need to because the cryptography registers the blocks and prevents tampering. The encryption process of future blocks depend on the encryption of previous blocks (a chain of hashes), so fraudulent transactions can't be inserted. Now, there isn't a need for a middleman exchange with a fee, and transactions settle instantly. EAST GREENWICH, RI—The uncertainty of natural disasters, as well as labor and political unrest across the globe, should not derail smart businesses from continuing to grow and thrive, according to The Society for the Advancement of Consulting® (SAC). “In spite of the volatility associated with the last few years from politics to natural disasters, the U.S. stock market is at a multi-decade low in terms of volatility, according to the Chicago Board Options Exchange’s Volatility Index (VIX),” points out Lisa Anderson, known as The Manufacturing Business TransformerSM and president of LMA Consulting Group, Inc., Claremont, CA. “We have a bit of a dichotomy across the board,” Anderson notes. “To successfully navigate these ever-changing waters, leaders must rise to the occasion. Agility is more important now than ever before! Speed is essential. “Just as in jet skiing, you don’t successfully jump waves by going slow. Instead, speeding up is the only path to safety. To stay on the jet ski, it also helps to read the waves. Staying in front of the coming trends and building your predictive muscle is paramount to thriving in this environment,” she adds. Morgan has three guidelines. “First, remember there is a big difference between what has happened, what will definitively happen, and what might happen. Second, distinguish between short term and long-term factors. And third, identify elements that will significantly impact your industry and business regardless of fluid political leadership, tariffs, trade pacts, and labor laws,” she says. “Look for the things that are certain, and those that will matter over time. Ensure that your vision, strategy, and capabilities in those arenas are always top priorities. Then, and only then, add near-term opportunistic strategic alternatives to the mix. “It’s easy to react to every headline. Don’t do it. Absolutely stay abreast of advances around and in your industry. And create your own. Certainly, consider opportunities to gain market share. But don’t waste precious resources on brawling battles that are not strategic to the war you intend to win,” Morgan adds. “Natural disasters, armed conflict, and political unrest have always been with us”, says Patrick Daly, Managing Director of Alba Consulting Group. “The world economy today and the global supply chains that underpin it are more interconnected and co-dependent than ever because of advances in transport, communications technology and the integration of previously underdeveloped parts of the world into our global productive networks. Daly adds, “The critical capability that businesses need now to thrive is a deep and broad understanding with clear perspective on global events and whether they need to change their thinking in response, guarding equally against overreaction to some events and complacency in the face of others. “For example, many British companies underestimate the future costs of moving goods in and out of UK post-Brexit, whereas many US companies overestimate the risks of doing business internationally in places such as Latin America and the Middle East. Only 1% of America’s 30 million companies currently export anywhere at all,” he notes. “This year, 2017, has brought its share of storms—dramatic disruptions across the political, economic, and regulatory landscapes—alongside hurricanes, earthquakes, wildfires, and floods. In the face of turbulence and change, leaders must help their organizations stay solid yet flexible, able to pivot, and meet new challenges head-on,” advises Dr. Liz Bywater, leadership expert and author of Slow Down to Speed Up: Lead, Succeed and Thrive in a 24/7 World. “I advise my clients to engage their teams in robust dialogue about the challenges around them. This will help their organizations develop innovative strategies, adapt to changing circumstances, and prevent “regrettable repetitions” of costly mistakes. “Leaders must also be direct about the impact of constant change. Reorganizations, budget cuts, natural disasters, and pending changes to the tax code and the ACA are among the many stressors faced. Executives must make it clear that they recognize how tough a road it’s been. They should also model optimism. Leaders have tremendous influence on the tenor of their organizations. Genuine enthusiasm about the future will inspire confidence and hope among their workforce,” Bywater adds. “Choose vision, not fear,” advises Karen Eber Davis, author of 7 Nonprofit Income Streams and president of Karen Eber Davis Consulting, a Sarasota, Florida firm that helps leaders motivated by vision find pathways to growth and revenue. “In the middle of hurricanes, political upheavals, and labor unrest, you can choose to glue yourself to media, to get caught in the push and pull forces, or to focus on your vision in order to lead yourself and those around you to stable ground. Your sphere of influence is larger than you think. Besides your firm, your leadership will influence and refocus your customers, vendors, government, and those whom you support philanthropically,” Eber adds. “Those businesses that work to make their operations and strategies simpler and more robust will have a big advantage over their inflexible, bureaucratic rival,” Puri adds. What’s certain in today’s world is that there will always be uncertainty, according to Linda Popky, president of Redwood Shores, CA-based strategic marketing firm Leverage2Market Associates, and author of the book Marketing Above the Noise: Achieve Strategic Advantage with Marketing That Matters. “We can’t predict what the next disaster—natural or man-made—will be, but we can predict that these events will occur. There’s no excuse not to be prepared for something unusual and perhaps even catastrophic to occur,” according to Popky. “This means taking proper precautions against those events that are more likely to occur, having contingency plans in place to respond quickly, and putting staff and customers through ‘what if’ drills so they are prepared. “There was no way that Capt. Sully Sullenberger could have known a bird strike would require him to land a jet plane on the Hudson, but the extensive emergency preparation and training he had been through allowed him to calmly evaluate the situation and respond quickly and effectively,” she notes. The Society for the Advancement of Consulting (SAC) is an international association of consulting professionals who subscribe to an industry code of ethics and have provided evidence of significant consulting results among their clients. For more information, please go to http://www.consultingsociety.com, write to info@summitconsulting.com, or call 401/886-4097. Bitcoin is an electronic currency that is not issued by any central bank. The advantage is that it lets people do anonymous transactions, and can't be inflated/deflated by governments. It is designed to be a scarce resource, like gold. That is how it keeps it's value. 1. Buy or sell it (by exchanging for dollars) through a bitcoin exchange. You have to have a "wallet", which is a program designed to store your bitcoin. 2. Some merchants accept bitcoin directly. So you transfer it wallet-to-wallet. 3. "Mine" it. This is how it keeps it's scarcity. As each bitcoin gets "mined", it gets harder to create more (uses more computer time and power). Bitcoin "mining" means your computer doing a complex calculation, which gets harder as more bitcoin is created in the world. The really valuable thing about bitcoin is the concept of the "blockchain". This is a ledger that is on millions of computers. Every time a bitcoin transaction occurs anywhere in the world, it is simultaneously recorded in every copy of the blockchain, so it can't be counterfeited. This is a hot area in finance/IT, because they can extend blockchains for other applications. For example, real estate. You could record real estate transactions in a blockchain, and wouldn't need courthouse records or titles. Ethernium, is the second most popular electronic currency, and it takes the blockchain concept further in that you can program the blockchain to do certain things when a transaction occurs. So, in finance, they can make smart contracts where, for example, a bond is stored in a blockchain and, when a transaction occurs, automatically release a payment. 2. It's being used online by hackers and drug dealers. 3. They also talk about banning paper bills such as $100 and 100 euro notes. So, they want people to use payment systems that use paper trails, so they can go after terrorists, tax evaders, and money launderers. But, governments do support research into blockchain technology. For example, the Federal Reserve may eventually use a blockchain to clear checks faster. One of the latest twists is hackers creating malware that cause infected computers to mine for bitcoin in the background. So, they are stealing your computing resources to create more bitcoin for themselves. Many of these coin start-ups are offering alternatives to bitcoin (i.e. they are pure currencies). Others work off of Ethereum, since they are smart-contract enabled, to offer services. For example, one company is called The Golem Project, and they aim to create a super computer out of people's computers. So, they created a coin called GNT. When you allow the Golem network to use your computer resources, you get paid in GNT. When you want to use the super computer, you pay in GNT. To start up, they sold GNT tokens that had to be paid for in cash or bitcoin (BTC). I recently read a Wall Street Journal article about Facebook and Instagram (which is owns). When Facebook wanted to create an AI (artificial intelligence) algorithm to select which items should be featured on users' News Feeds, it spent a lot of time and manpower creating it. However, when its Instagram unit wanted an AI algorithm to create a curated photo feed for users, "three or four engineers got the job done in less than five weeks". This is because they took Facebook's algorithm, tweaked it, and trained it with Instagram data. 1. They control the user experience and customer value. If the algorithms don't do a good job selecting appropriate content, users may find a competing platform that gives them what they are looking for. 2. They provide operational simplicity for Facebook engineers because, every time they want to create a new application, the algorithms build on their accumulated learnings and because quicker to implement. We're talking exponential leverage. Today's Google Doodle honors Subrahmanyan Chandrasekhar from the University of Chicago, who was the first astrophysicist to win a Nobel Prize. Reading his biography, I noticed That the main thing he is famous for is a simple, but profound fact named after him: "The Chandrasekhar Limit", which states that stars below 1.44 of the sun's mass can become white dwarfs. If they weigh more, they can become neutron stars or black holes. This makes his IP (intellectual property) catchy and sticky. Branding Simplicity: University of Illinois Consolidating Around The Block "I"
Branding Simplicity is part of Market Simplicity, an essential component of strategic simplicity®, which allows companies to have a competitive advantage in today's Attention Scarcity Age. The orange block "I" was first used in 1892 and has been a big part of athletics. 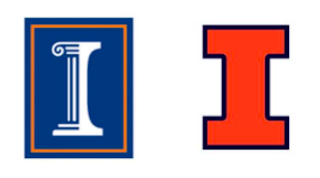 But, since 1997, the U of I's nonathletic units have been using the blue column "I". As Chancellor Robert J. Jones stated in the U of I alumni magazine: "The fact that the public is presented with multiple versions of a campus logo represents a significant problem and creates needless confusion." Since Mitch Trubisky, the #2 pick in this year's draft, is now starting at quarterback for the Bears, the Chicago media is asking opposing quarterbacks about their rookie experiences. This week, it's Joe Flacco of the Baltimore Ravens. Flacco was drafted in 2008, started all 16 games, and got the Ravens into the playoffs. His advice: Don't make football bigger than it is—just play the game you love, practice time management skills, and "finding ways to keep everything simple." These are the same traits that will help you lead a successful business in today's Attention Scarcity Age, where your customers and employees are overwhelmed with information and speed of change. If you want to achieve 100% perfection on any project, product, service, or process, it will take about 70% of the cost (time, money, etc) to reach 90%. The return of the final 10% is not worth the cost (final 30%). There is a large diminishing return. Therefore, unless you are a brain surgeon or rocket scientist, don't strive for perfection. Instead, you want to achieve success and provide value. I recently read that Lincoln Center scrapped their $500 million renovation because, according to a New York Times article, they "got the sense the project got too complicated". The turning point came when the project teams said the orchestra would be in temporary quarters for a third year. Now, the new plan will be to do the project in phases—it will be "less monumental and more incremental". For years, I have advocated for projects to be broken up logically into phases (like how the Lord of the Rings movies were broken out into 3 movies). The diagram above shows the difference. The solid curve represents doing a large project in one shot. Notice that, as the complexity increases, the chance for the project to be on time and budget plummets. The dashed lines represent the project done in phases. Notice how, as complexity increases, the project still has a good chance to be completed on time and budget. I just read a Yahoo article about how the Food Network revealed a Peanut Butter Sandwich "Hack". It involved spreading the peanut butter on wax paper and freezing it, so that you now have peanut butter "slices" that can be laid on the bread. One of the "advantages" was not tearing the bread. "I hate these buzzwords. everything is a 'hack'..."
"Worlds most complicated pb sandwich.Sounds like she has too much free time.Peanut butter is supposed to be quick and convenient." "Brilliant. Too bad the Nobel Prizes have already been handed out." "Dip knife in jar, spread peanut butter from knife to bread. Done. This 'hack' is stupid. Sounds like she just likes round about ways to do simple things." "Sounds like it takes more time then to just carefully spread peanut butter so you don't tear the bread, never have that problem. This person just likes busy work." "She needs a lesson in how to use a butter knife to spread peanut butter. If she's unable to do that, she's not qualified as a chef. Sounds like another millenial who wants to build her twitter account with more useless advice." Aldi, the German grocery store chain, is planning a large expansion in the United States. They became one of the most successful grocery chains in the world by focusing on limited choice. According to a recent Wall Street Journal article, Aldi originally had to start with less—when two brothers (Karl and Theo Albrecht), veterans of WWII, took over their family's store in the bombed out city of Essen. They only offered 250 items, mostly what families needed to survive, like flour, sugar, coffee, butter, etc. However, by around 1960, the German "economic miracle" occurred, and fancy supermarkets selling thousands of items appeared. The brothers were forced with a choice. They decided to keep the selection in their stores limited because it gave them a cost advantage. Today, Aldi stores still stock much less than other chains. The advantages: more clout with less suppliers, faster inventory turnovers, smaller stores (with smaller rents and utility costs), and (ironically) better quality control. The last advantage, quality control, means that Aldi also attracts more middle and upper class customers than you would expect. I'm the expert in Strategic Simplicity®, and I work with clients in all four areas of Strategic Simplicity: Market Simplicity, Decision Simplicity, User Simplicity, and Operational Simplicity. Yesterday, I read an article in the Chicago Tribune about Crocs called "Crocs' billion-dollar strategy: Stay ugly". It was a good example of market simplicity. The Crocs' fad wore out about 10 years ago, and they tried to diversify into other styles. But they suffered heavy losses and at least one prominent analyst felt that the company "was toast". But, Crocs was able to generate a turnaround by focusing around their "ugly" shoes. They realized that their classic clogs were popular in two sub-markets: sports teams (for wearing before/after competitions) and hospital workers. Also, many people still preferred comfortable over fashionable for casual foot wear. So, Crocs stopping making many of the new styles, and shifted back to their classic clogs—adding more colors and buttons (such as Marvel, or Disney characters). I have a subscription to Time Magazine, and they kept emailing me offers for other magazines. 1. I had to enter my email. 2. They said that it will take effect within a week. This is not user simplicity. In most cases, when you want to opt out of email, you just click on the link and click "confirm". You do not have to retype your email (which is already known, since you are clicking on their email), and it takes affect immediately. When it comes to improving your business with Strategic Simplicity, its not always a matter of making a massive change. A lot of irritating complexity is caused by little things that can be easily changed. He listens to the heater for a few seconds, taps it with his hammer, and it starts working! The plumber then gives an $80 bill to the homeowner, who then complains that the plumber didn't do anything. Interestingly, this joke actually contains an important business lesson. Business should be about generating results for customers, not in methodology or outputs. In other words, the value to the homeowner is to get the heater working. The value doesn't depend on what the plumber actually did or how hard he worked. In fact, getting it fixed quickly is more valuable for the homeowner. Yet, in our society, we value hard work. Even worse, we (the service provider) feel that, unless we generate enough work, we haven't given value to the client—even if they are happy with the results. We are our own worst enemy! In the joke, the plumber was pressured to generate a simple invoice. But, in the real world, many companies would go further, and, under self-pressure, add even more unnecessary deliverables such as power points, documents, etc. If your company wants to be productive, agile, and innovative—in other words, strategic simplicity℠ —then it should focus on generating results, and resist the urge to justify value through busy work. 1. Don't make a to-do list, instead make a don't-do list of time wasters. 2. Schedule tasks (such as writing an article) as an appointment on your calendar. Treat it like a meeting. 3. The cure for procrastination is to "micro" something by breaking it down. Ex: write a micro-article, or do a micro-task. One of the important components of Strategic Simplicity that I help companies with is User Simplicity. In today's world of Attention Scarcity, you irritate your customers if you waste their time and make the user experience difficult or unpleasant. This morning, I had a negative user experience at AT&T. I needed to call on behalf of an elderly relative who wanted to make his number unlisted, to cut down on unwanted calls. As soon as you call AT&T, your connected to an AU—Artificial Unintelligence. It kept asking me to explain what I was looking for, without immediately giving me the option to reach a human. In my case, getting a number unlisted seems to be an uncommon operation, so the AU struggled to understand. It kept ping-ponging me between menus—until I jabbed the '0' key several times in a row. For creativity and innovation, we always hear that "you should keep an open mind", or "think outside the box". But this is only half the story. This is great for the experimental phase, where you test and iterate through ideas to find the best ones. But, once you decide to execute, you need to shrink your box. You need to focus on a few, high-quality, core ideas. Otherwise, you'll get overwhelmed, spread through thin, and your business will be mediocre at best. So, you need to keep your experiment/testing phases and production/execution phases separate. 1. expand your ideas and "play" in your "sandbox" (development environment). Come up with proven, break-through ideas. 2. Implement selectively and focused so that your production offerings are streamlined and well-executed. 3. Go back to your sandbox and experiment some more. If you create something better than your "production" model, then replace it. 1. Complexity is a huge, self-imposed business tax. 2. Clarity provides motivation to both customers and employees. Confused people don't act. 3. Simple processes make you capable of executing fast, explosive changes. 1. Get right to the point. 2. Only cover one issue in one email. 3. Be brief. Err on the side of less background / info. Recipient can always ask for more. Sloths used to be considered boring, useless animals who hang in trees all day. Being slothful was looked down upon—a "deadly" sin. Now, the Wall Street Journal has become the latest media outlet to write about how sloths are exploding in popularity. They are one of the most popular animals in the zoo and, unfortunately, people are starting to want to keep them as pets (which isn't good, since some species are endangered). Why are sloths so popular? Why are people having visceral actions, and crying while watching them (do nothing)? I think it's a reaction to our times, which I called the "Attention Scarcity Age". We have left the Information Age. Now, we are drowning in information and big data. We tweet in sound bites and rush around, always on call. Sloths thrive by doing less and appear to be in contemplation. People today are thirsty for ease, a slower pace, and less chaos. This is one of the reasons that Strategic Simplicity® is so important for businesses today. Your customers, employees, and suppliers are all overworked and overwhelmed. You are fighting to attract their attention and loyalty. One of the best ways is through incorporating simplicity throughout your business. I help my clients with 4 types of simplicity: market simplicity, decision simplicity, user simplicity, and operational simplicity. A relative was paying $63/month for medicine because the pharmacist said his insurance company didn't cover it. We told the doctor that the medicine wasn't covered, but he said he prescribed the generic. We went back to the pharmacy and told them that it's the generic. The pharmacist contacted the insurance company. It turns out that they don't cover 20mg pills, but they cover 40 mg. So, as long as he orders twice the strength, and splits the pills, he pays $0! Two of the four areas of Strategic Simplicity® that I help my clients with are market and decision simplicity. This means making it easy for customers to understand your business and decide whether to do business with you. This is important because we are no longer in the Information Age—we are in the Attention Scarcity Age. Everyone is bombarded by messages and drowning in information. Nobody wants to sit through boring commercials or complicated spiels, but they will watch "infotainment"—non-promotional content that both entertains and informs. This is what thought leadership is all about. It means considering yourself as an expert, and creating content ( articles, blog posts, videos, podcasts, etc.) that provokes, informs, educates, and entertains your audience—as opposed to simply creating advertising. The content you produce and give away should have only one goal: adding value to the person consuming it. It should never directly self-promote. Ideally, it should be so valuable that your audience would have gladly paid for it. How Important is User Design and Simplicity in Software? 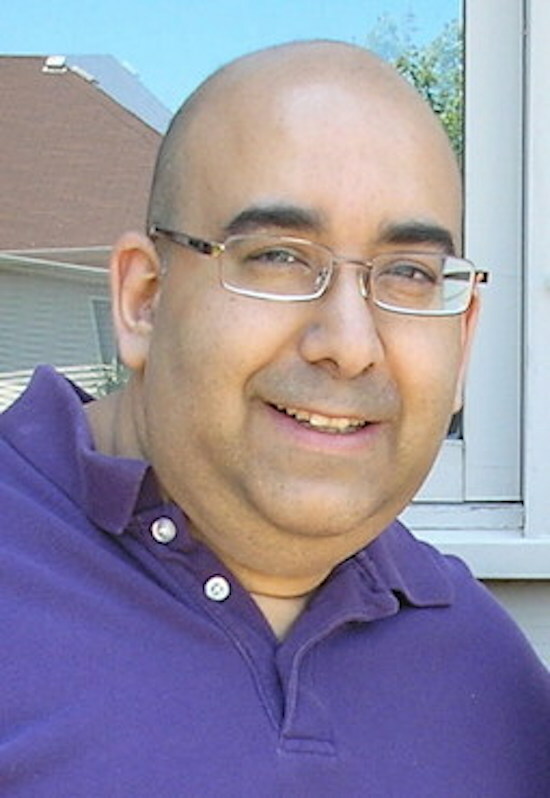 I am a management consultant who specializes in the four areas of strategic simplicity: market simplicity, decision simplicity, user simplicity, and operational simplicity. How important is user simplicity / design, especially with software? It can change an entire corporate strategy. I consulted and worked for a large multinational bank that developed an IT strategy to develop it's own web portal—which would eventually serve as the user interface for all of its legacy applications. They even hired away some key executives from a prominent travel website, who were responsible for the travel site's state of the art portal design. Around the same time, this bank entered the Chicago area and bought a local bank 1/10 its size. The larger bank expected to shut down the smaller bank's technology group and move customers to it's platform. It turned out that the small local bank's software was rated much higher than the larger bank's in a survey conducted by a prominent banking magazine. Their user interface was so good that the larger bank had to do an about-face with its strategy. They ended up scrapping plans for its own portal, and they ended up shutting down the larger bank's software and switching to the smaller bank's platform. The newly hired key portal executives ended up leaving, and the smaller bank's technology executives (who thought they would lose their jobs) ended up running the larger bank's tech operations.